. استمتع بالخدمات الراقية والضيافة التي لا مثيل لها بهذا الفندق في باورال. يقدم هذا الفندق العديد من الخدمات الكفيلة بإرضاء أكثر الضيوف تطلباً. تعكس غرف الفندق البالغ عددها 32 المنتشرة في 1 طوابق جواً من الدفء والألفة.خدمات عصرية مثل تلفزيون بشاشة مسطحة, اتصال لاسلكي بشبكة الإنترنت (مجاني), غرف لغير المدخنين, مكيف هواء, تدفئة موجودة في بعض الغرف المختارة. يقدم الفندق مجموعة واسعة من وسائل الراحة المتنوعة، كمثل: ملعب للأطفال, ملعب تنس, حديقة. استمتع بخدمات لا يعلى عليها وعنوان ذو اعتبار في Briars Country Lodge . Very very clean room, perfect location. Will be even better once the restaurant on the property re opens after the fire damage renovations. Would definitely stay here again and would recommend highly. Such a lovely lodge. On arrival we were met with a friendly welcoming. I was advised that we were in a king room with a sofa made up (not requested but had a little one so they made it up for us) Great room with space for everyone. The bathroom is tucked away around the corner and has a bath tub. The big king bed overlooks the lounge area that then leads out to the beautiful grounds. Green grass, a huge duck pond. Will stay again. Staff were friendly, room clean spacious with bath tube in the bathroom. View on the little lake really cute. Bed really comfy. There are a restaurant on site which is pretty good and use local produces. Definitely recommend this place for a further stay ! The whole place and the rooms were very quaint and lovely. The bathroom was a little outdated, and it was a significant disappointment that there weren't any lunch, dinner or bar options on the premises. Not many places delivered to the hotel either, so we had no choice but to dine out every night. Only stayed one night, but wish it was longer. Staff were very friendly and helpful. Lovely view of the lake. Bonus of the pub at the front with excellent friendly bar staff, entertainment and great food. 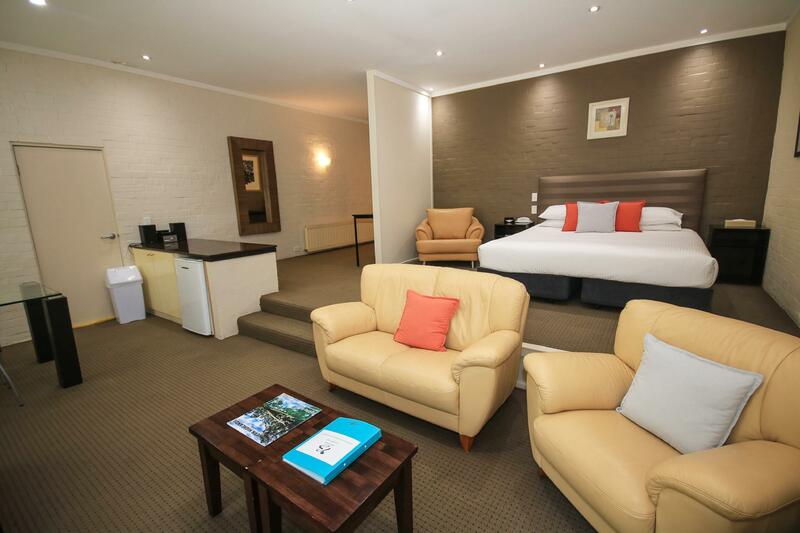 Will definitely stay there again if visiting Bowral. Great accommodation but I wouldn’t recommend paying the extra $20-$28 for breakfast in the bistro. It is not good value for Money - some of the hot food was cold. You would be better off going into Bowral to one of the many fantastic cafes & grab breakfast there instead. The Briars was a perfect stop between our Sydney - Melbourne trip, and the rooms were toasty and warm, and very comfortable. A special mention for the dinner we had from the restaurant; as we had not booked a table, I was asked if we could take the food back to our rooms as the place was fully booked - the food was excellent, and the service was outstanding. Thank you, we will definitely stay on our next big trip - with more time to spend exploring your beautiful grounds (and surrounds!). If you want to step off for a while to just relax, read a book, listen to music all on your own private little terrace looking at the lovely large pond, then go here. Rooms are a bit tired but the ambience is perfect. Time to slow down and kick back. I found everything you would normally expect in a motel of this type to be there. The well kept, attractive grounds were a bonus. Being so far out of town, the lack of a restaurant was disappointing. I acknowledge there was an accident but thought temporary alternatives could have been attempted. In general it was peaceful and quiet and I got a really good night's sleep. I would come again. 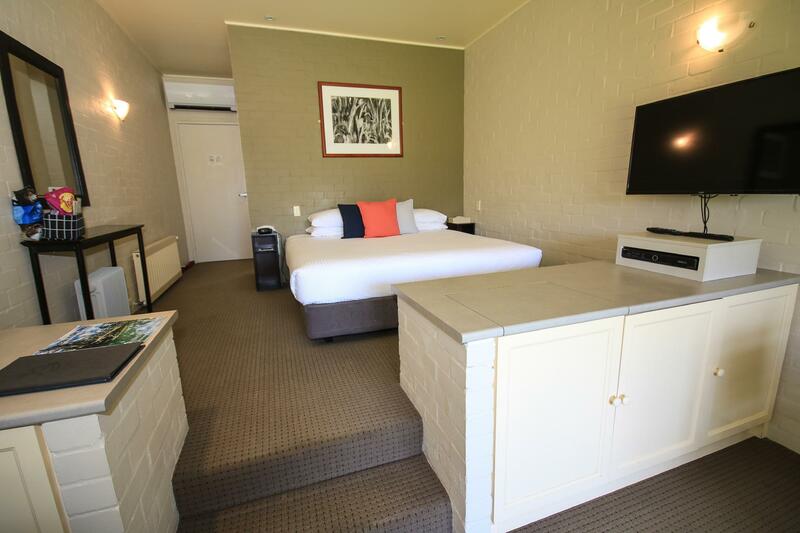 Spacious room with separate lounge area, bed a bit on the hard side but that’s par for the course these days. Everything was clean. The TV didn’t work, but we didn’t need it. Facilities are starting to look a bit tired. Breakfast was a bit ordinary, as was the service. We were invited to ‘sit wherever you like”, except there were only 2 tables, both occupied. So we went through the room divider into a more formal area, but were then told we could sit there. Another table was eventually brought in. Same thing happened to the next group arriving for brekky. Spacious king room in 2 levels: sitting room below ( down 2 steps) with lovely view of the pond and water feature, and sleeping space on ground level. Handy parking outside the room. We ate dinner at the restaurant and although it wasn’t particularly cheap, the food was fabulous. I’m coeliac and was well looked after. My husband had a steak he’s still raving about. We will return! Always my go to hotel in the highlands. Great value for money. 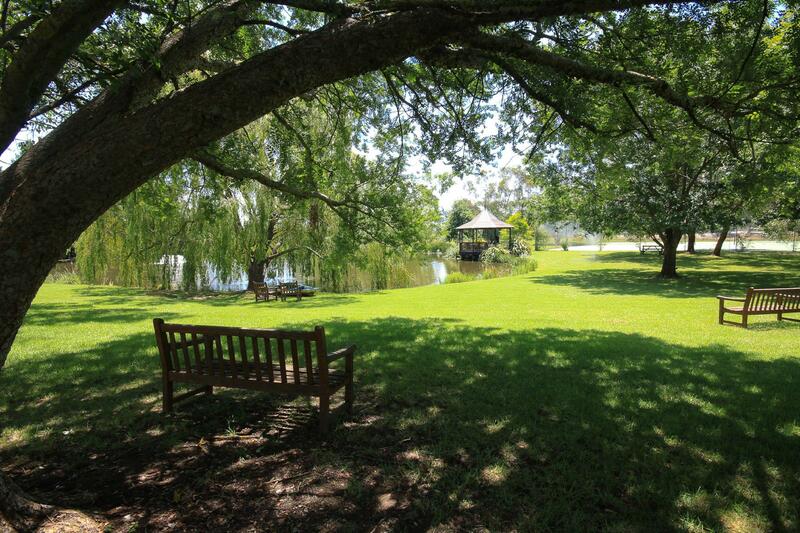 Very comfortable and spacious with a large separate seating and lounging area overlooking the beautiful lake and grounds. Very quiet and relaxing. The staff was very helpful and friendly. Facilities were great and the restaurant and bar were very nice. Our stay was fantastic and we really enjoyed the views from every room even at night with gardens nicely lit. Even though weather was chilly we were very cosy in our room. One highlight for me was enjoying a glass of red in front of the open fire in the bar. The beautifully landscaped grounds were nice to walk around. I would recommend the Briars Country Lodge and History Inn. The staff were exceptionally friendly and accommodated last minute changes. The room was stunning with split living sleeping and living with french doors opening onto a very tranquil setting including pond. Great location, quiet, and lovely facilities. Quiet and peacful, with a nice large pond and lawn area, breakfast was all so great. we had a small issue on arrival with the receptionist not wanting to honour the included breakfast that we were entitled to. after me having to stand my ground a little, she did include the breakfast but i got the impression it was to keep me quite more so than her admitting she made a mistake. other than that incident we had a great stay, the room was neat and tidy and the surrounds are nice and peaceful. we had dinner at briars bar and restaurant and i was able to cook my own steak which was great. the buffet breakfast was quite good also. Split sleeping and lounge areas, as well as, bathroom separated from sleep area with a change room section. My friend and I stayed in a warm, relaxed environment. Extremely clean room. Wonderful views out to the lakes and ducks. A stone's throw from a well presented and cosy restaurant with delicious steaks and a selection of salads and vegetables. Will return soon. Highly recommended to both couples and families. The restaurant has the best steaks ever! 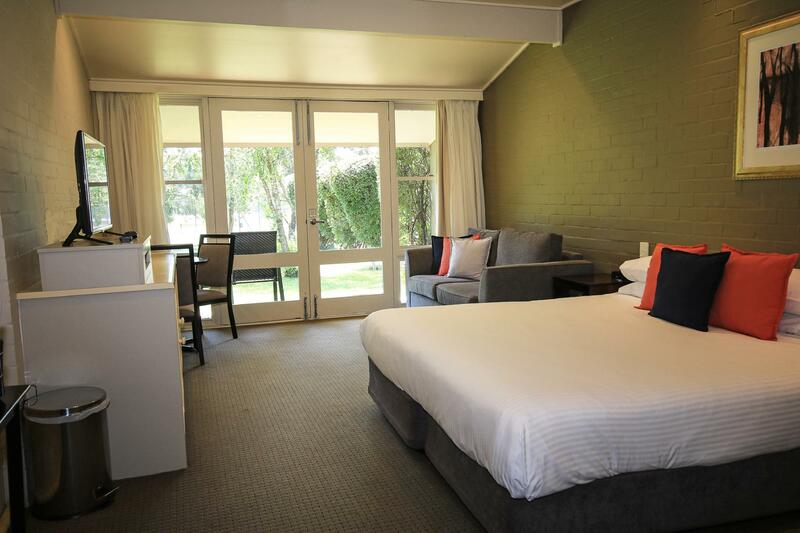 This is a lovely motel, situated outside of Bowral on the main road that heads toward Sutton Forest. It is quiet and peaceful and the rooms open onto a lake. 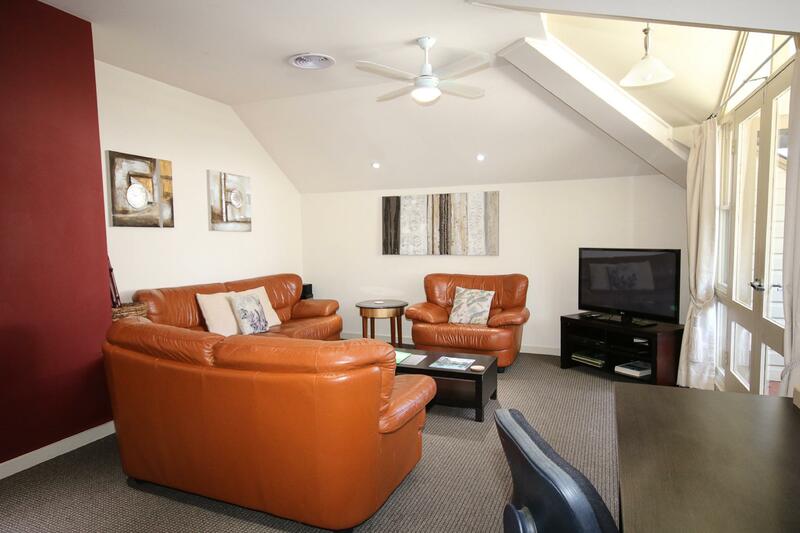 It is a chilly part of NSW but the rooms are really cosy and warm. It is a short walk to their restaurant which has the very best steak I have ever had in my life - the "Long Paddock". The restaurant also has a beautiful buffet breakfast which was included in our bargain rate from Agoda. My wife and I will definitely be staying there again. Staff were polite and friendly, food in the restaurant was great. If u want to eat and sleep in the same spot ie no travelling to restaurants this is a great choice! Wood fire was burning...great location!